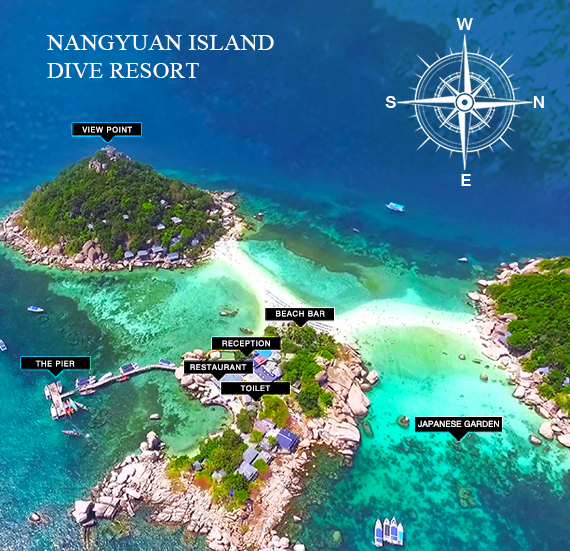 Nangyuan Island Dive Resort : Visit Amazing Nangyuan Island, Near Koh Tao, and stay in one of the most unique places on earth. Three islands of astounding beauty awaits you. Copyright © 2010 All Nangyuan Island Dive Resort Reserved. Manage by byCreation Plus Co., Ltd.
You can make reservation online using our online booking system. Please Note: Valid from now until 15 December 2019 and all above rate may change without prior notice. All above rates net and inclusive breakfast, service charge, tax and free roundtrip transfer from Koh Tao - Nangyuan - Koh Tao upon arrival and departure. Notice: Extra charge for buffet dinner participate celebration.